Why every industry professional needs environmental insurance. Most Cleanfax readers have heard of “Contractors Pollution Liability” (CPL) insurance at least once in the past. However, most readers have little now idea what this insurance coverage actually does. More troubling still is that the insurance agents of carpet cleaning and restoration professionals often think pollution insurance is only needed by hazardous waste contractors. That is a dangerous assumption. 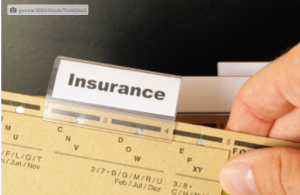 Originally, CPL insurance policy was, in fact, designed to be purchased by hazardous waste contractors, but things are a lot different today. The need for environmental insurance, however, has never been limited strictly to hazardous waste. The operative word in pollution exclusions is “contamination.” In a nut shell, if you contaminate something while on a job, you can kiss your insurance coverage goodbye unless you have CPL insurance or you are fortunate enough to find a misinformed claims adjuster. The bigger the claim against you, the less likely the insurance company is to send your claim to a naïve adjuster. The word “contaminate” in an insurance policy incorporates much more than hazardous materials. For example, when a WI company, Z Co., submitted an insurance claim arising from bacteria-contaminated sandwiches, its insurance company denied the loss due to the pollution exclusion. Z Co. sued its insurance company in hopes that a judge would reverse the insurer’s denial of the loss, but the judge sided with the insurance company. Bacteria and, by default, Category 3 water are pollutants in WI by case law. Sandwiches are about as far away from hazardous waste as you can get, but because Z. Co. did not have CPL insurance, it faced heavy losses. Over the years, especially with the advent of fungi, mold, bacteria and Category 3 water exclusions, the CPL policy is now needed by any contractor or cleaner working inside of a building. Fundamentally, a CPL policy is designed to fill the insurance coverage gaps in General Liability (GL) insurance policies created by these types of exclusions, in addition to those of lead, asbestos and silica.